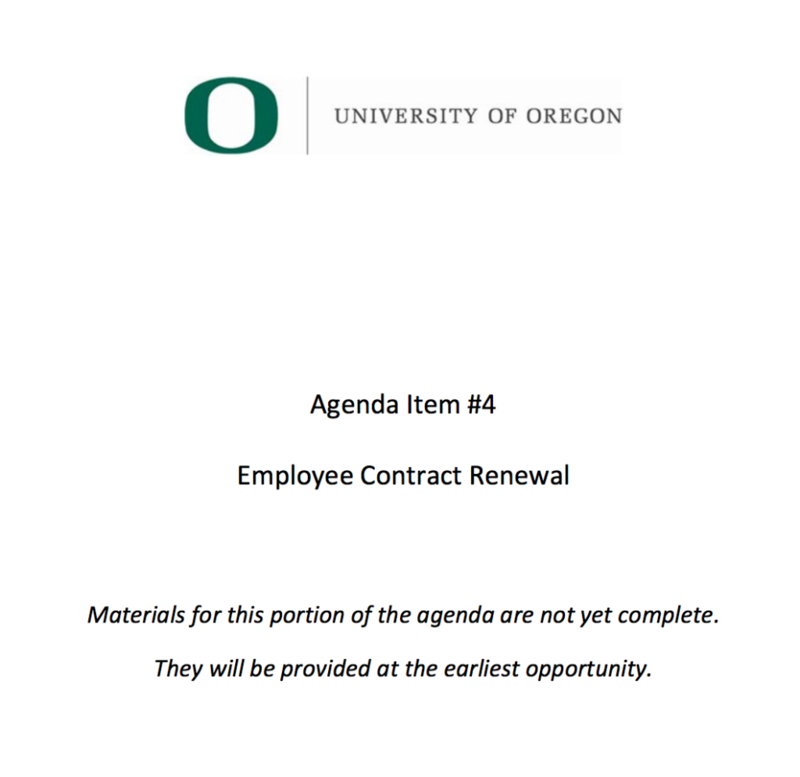 UO Board to clean up after Robin Holmes, Shelly Kerr, and Doug Park? feel free to discuss any issues of concern to you, and the trustees may have questions they want to ask. The conversations will evolve, as conversations do. plan to have more discussions then), please let Amanda Hatch know and we can save your information. better than one long comment per person. NTTF because most topics apply to both, although sometimes in different ways. – What roles do different faculty members play? – What is the promotion process like for TTF and NTTF? – What contributes to teaching excellence? – How much work goes into preparing a class? – How do teachers keep their classes fresh? – How does research contribute to teaching? – What are classroom conditions like – technology, class size, and configuration of classrooms? – What kind of University and unit service do faculty do? – How does the level of service required affect teaching and scholarship? – How do faculty mentor students? candidate? How does advising a grad student work? – How do faculty help students think about career options? – What is the role of research for a TTF? – What is the grant writing process like? – What is the publication process like? – What synergies exist among the research, teaching and service obligations of faculty members? – How do TTF and NTTF interact within units? – How do units govern themselves? – What role does the Senate play? What role should the Senate play? – Do faculty feel engaged with the Senate? lot of work needed to develop a strategy – but someone may have particular insights to share. Board of Trustees posts pre-redacted dockets for March 4-6 meetings. While these are much more complete than in the past, and while the Board has helpfully abandoned its previous strategy of holding meetings when the students are away on break, Secretary Angela Wilhelms has pre-redacted some of the most potentially interesting info from the agenda (docket) links, saying it’s not ready yet, or will be passed out in dead-tree format at the meeting. In the past she’s done this because she didn’t want the public (or some board members) to find out what’s going on until the last minute when it’s too late to react. From http://trustees.uoregon.edu/meetings. Alexandra Wallachly has some info in an Emerald story here, and I’ll post more later. Meanwhile if you see – or don’t see – something interesting, please post a comment. State HECC to examine whether UO Board is transparent and accountable? (c) Do not negatively impact public universities that do not have governing boards. (d) Lead to greater access and affordability for Oregon residents and do not disadvantage Oregon students relative to out-of-state students. (e) Act in the best interests of both the university and the State of Oregon as a whole. (f) Promote the academic success of students in support of the mission of all education beyond high school as described in ORS 351.009.
seven public institutions will be evaluated annually using the framework starting in Fall 2016.
comports with the findings set forth in ORS 352.025.  Provide transparency, public accountability and support for the university.  Are close to and closely focused on the individual university.  Do not negatively impact public universities that do not have governing boards. Oregon students relative to out-of-state students.  Act in the best interests of both the university and the State of Oregon as a whole. high school as described in ORS 351.009 (the 40-40-20 goal). name of the State of Oregon, acting by and through the governing board. fulfilling their missions, their compacts and the principles stated in this section. UO Board to give Rob Mullens or Mark Helfrich another raise? 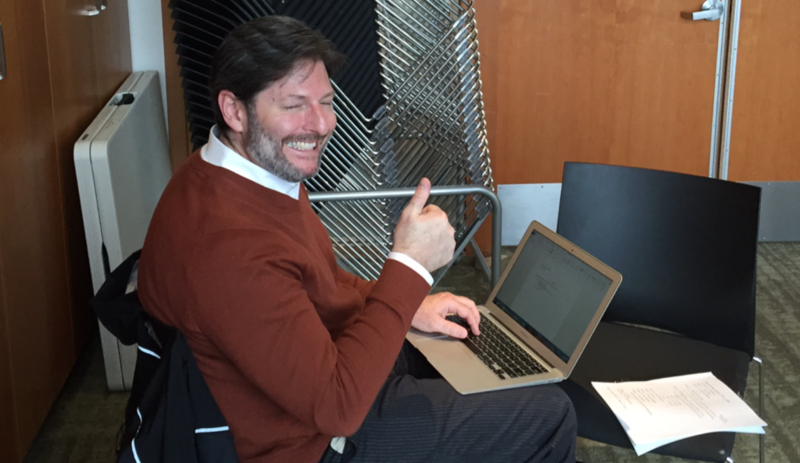 2/4/2015 update: The Senate Executive Committee met today. The sudden cuts to graduate fellowships in some UO departments, right in the middle of grad recruiting, got some serious attention. Senate President Kyr is going to ask the Senate Budget Committee to look into the situation and report back to the Senate ASAP. Meanwhile, in the absence of any information from President Coltrane or Provost Bronet, the rumors are flying. Please post yours in the comments, whilst adhering to the one cuss-word limit. Isn’t it odd how it only takes Johnson Hall 3 hours to spam the entire university with a witch-hunt email accusing a professor and two archivists of an “unlawful release” of UO archives, but when it comes to something as crucial as graduate student fellowships, they wait until departments are bringing students to campus to tell us sorry, they spent that money on something else? 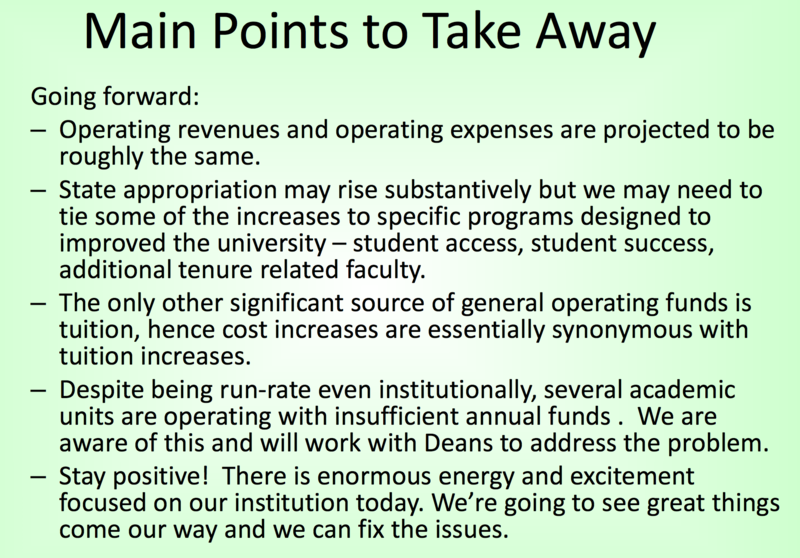 What are the chances that chief collaborator Triplett will relay the news to the Board of Trustees that UO’s spending priorities are out of whack? How much are we paying Wilhelms? 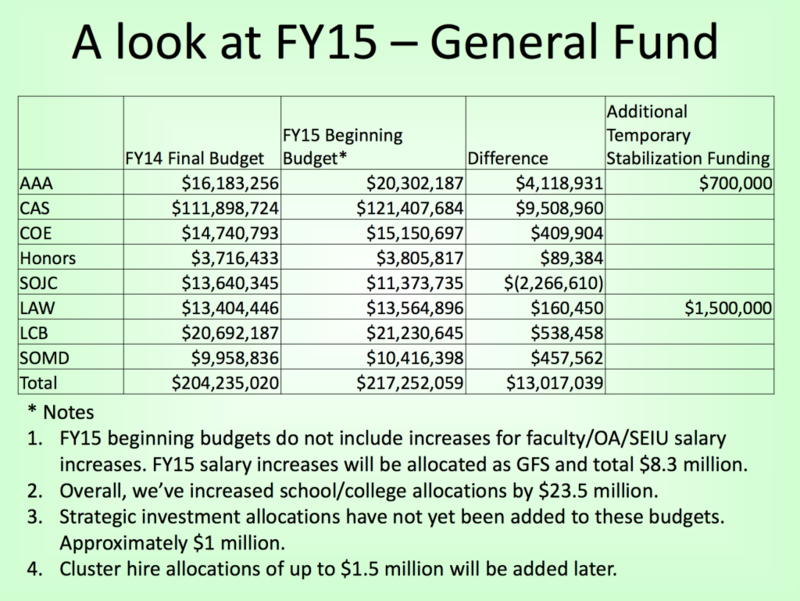 2/4/2015: UO cutting grad student fellowships? That’s the rumor. If true, it means Chuck Lillis has decided that it would be more fun to play with UO if it were out of the AAU. If you know something, say something.